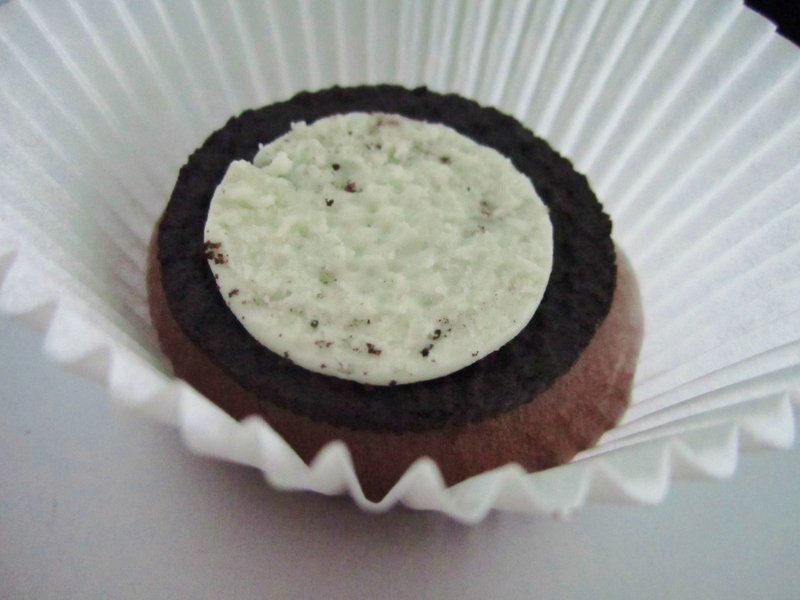 I’ve always been tickled by the idea of a cookie in a cupcake. I wonder if the person who came up with the idea accidentally dropped cookies into cake batter and was too lazy to take them out or if it was one of those ‘I’m bored. Let’s try something funny’ scenarios. 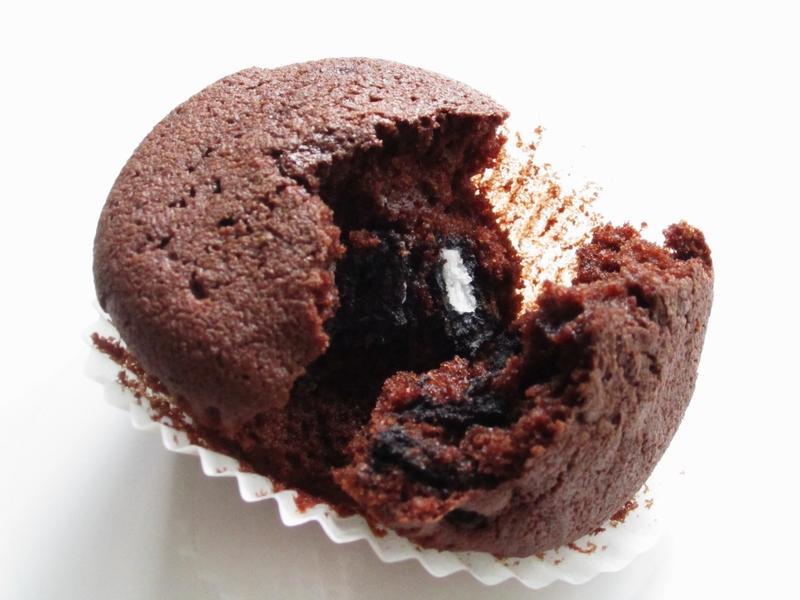 Whatever it is, I think the Oreo cupcake is a great idea! I made some and I loved them! I love how the cookie retains its shape yet softens while the cream just suspends within the cake and adds another subtle dimension to the cake. I do not love how addictive it is. Don't waste the extra cookies! Love this poofy mini version! I topped the Perfect Chocolate Cupcakes with White Russian buttercream and toasted almonds. I wanted to leave the ChOreo Cupcakes as is but to see a cupcake without frosting or any form of decoration just seems wrong. 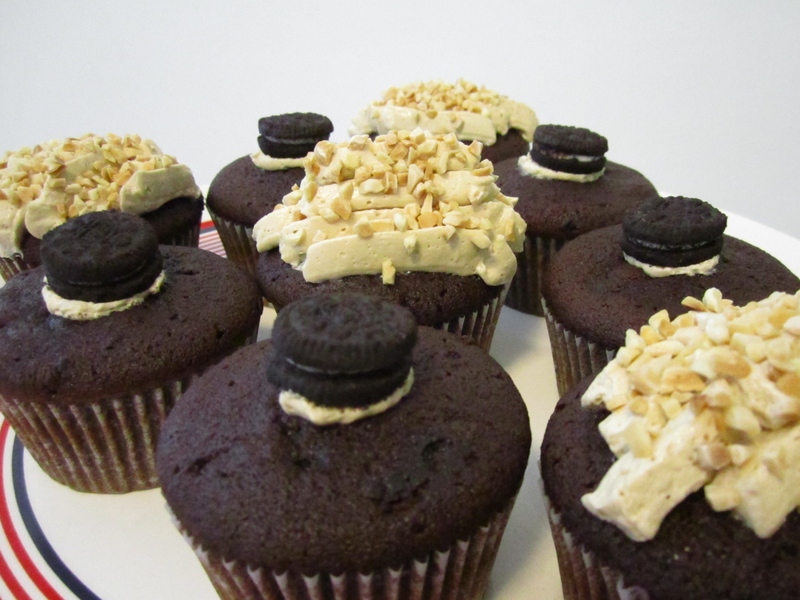 I was running a little late so I placed a mini Oreo on top of each ChOreo Cupcake just for nice. My new cake & fruit stand for the dining table. 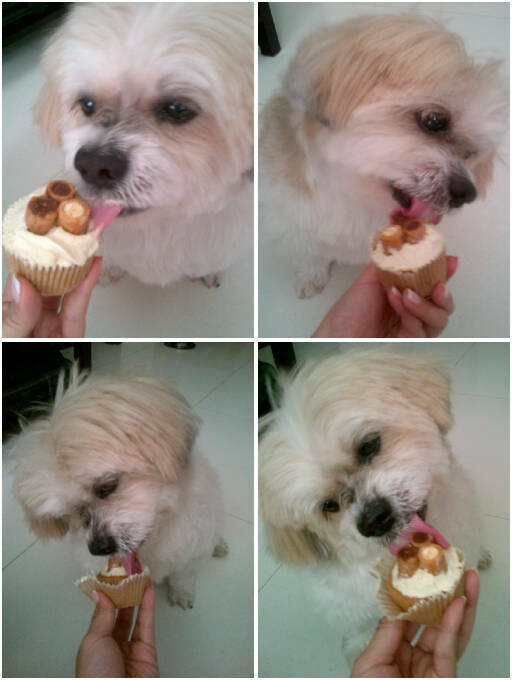 It seems Winnie and her colleagues enjoyed the cupcakes. One of them even said she loved them and would pay money for them! I received rave reviews for the White Russian buttercream too. 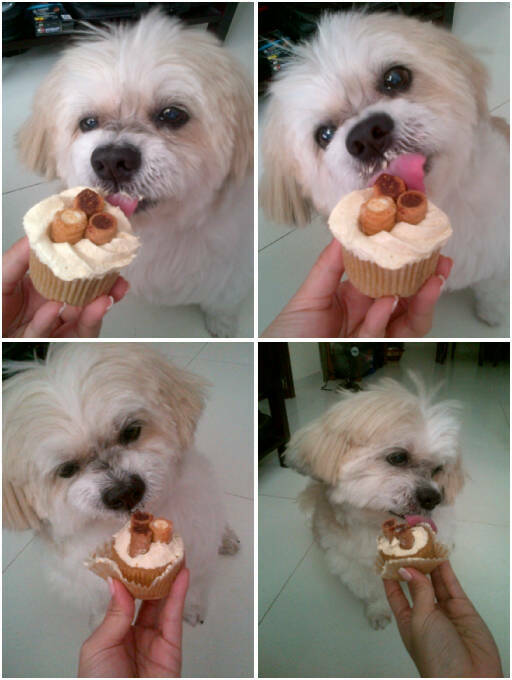 Being an aspiring cupcake baker, it seemed only fitting that I bake my DCM some cupcakes for his birthday. However, like I’d mentioned in The Danish Croque-madame, my DCM is no sugar lover although he has always been very supportive of my baking. 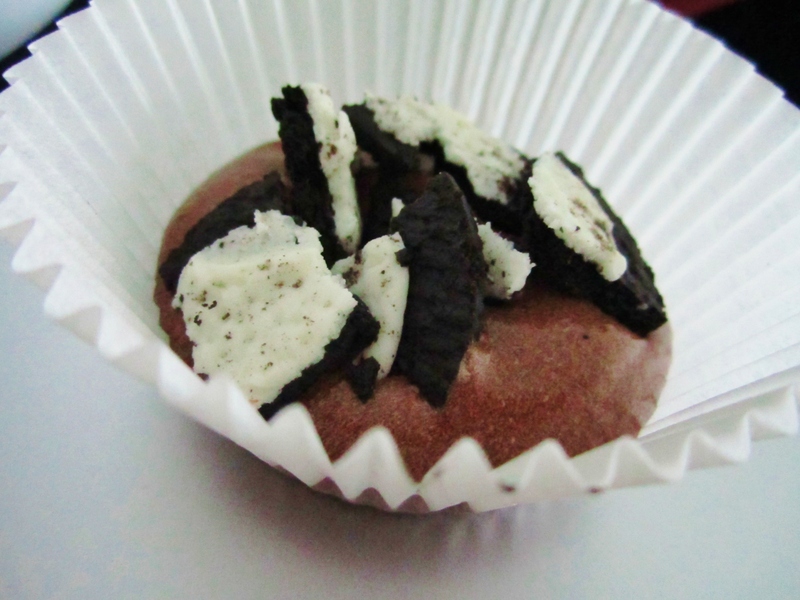 I had to come up with a cupcake that would entice my anti-sweets Sweetie. This was a tough one. After finally deciding on a coffee cupcake with cream cheese frosting, I found myself thinking of my DCM’s favourite drink, the White Russian. If he likes it as a drink, he probably wouldn’t mind a cake version right? 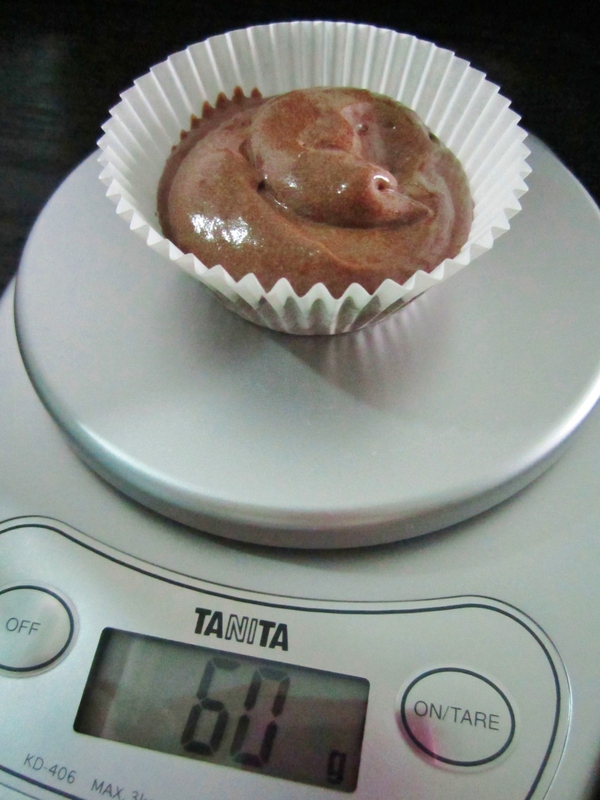 Since I make a damn good White Russian cocktail, I should be able to make a good White Russian cupcake…? 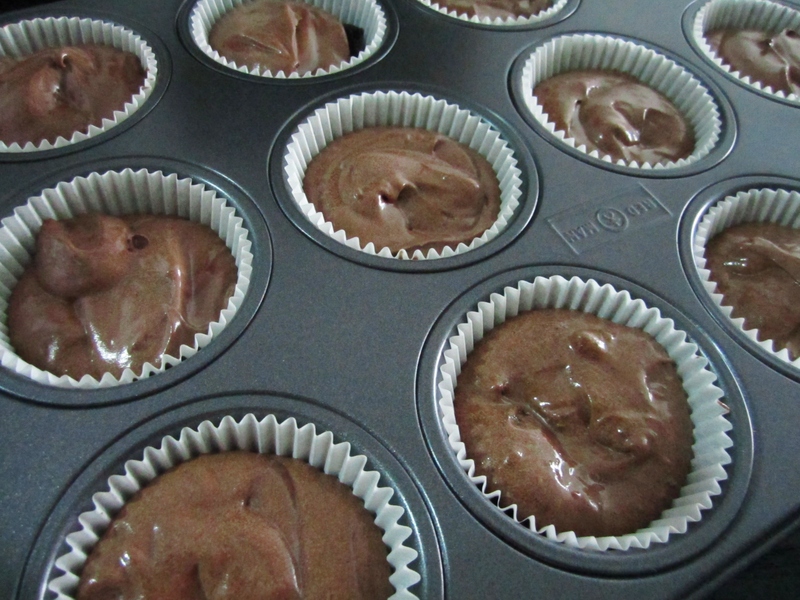 I’d made Coffee Kahlúa cupcakes before so I reckon same difference. Just tweak it so there’s less coffee and add vodka? 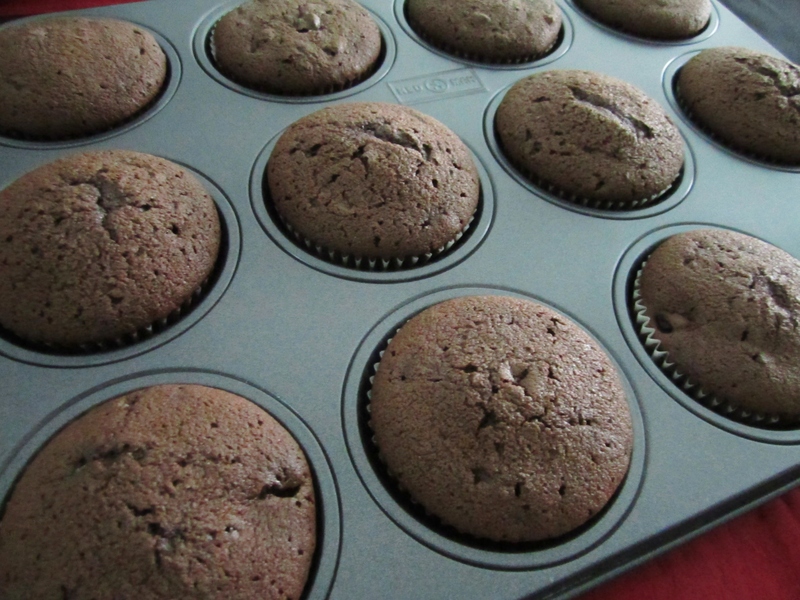 For an added kick, I might just brush a little extra Kahlúa on the cupcakes the moment they come out of the oven. How naughty! I decided on a Bailey’s cream cheese frosting and went searching for something to decorate the cupcakes. 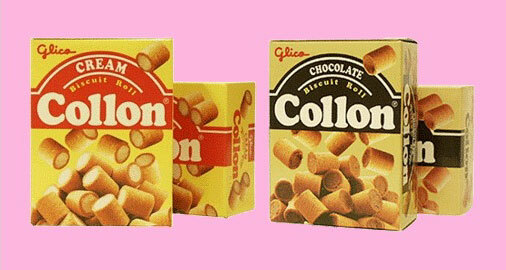 I stumbled upon a long-forgotten childhood snack, Glico’s Collon! It’s a crispy biscuit tube with different-flavoured cream fillings. Weird name, good taste. Japanese… Go figure. 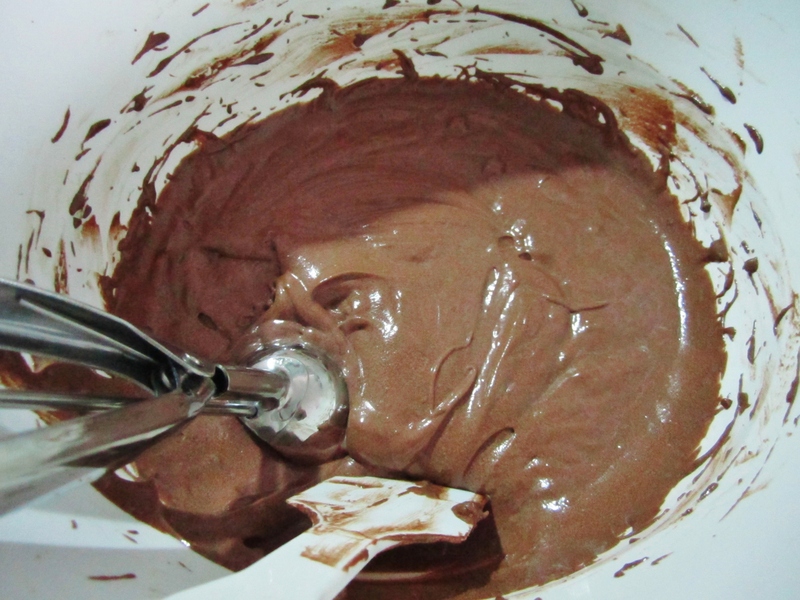 I chose cream and chocolate to go with the White Russian cupcakes. The White Russian cupcakes turned out to be a success! My DCM ate three! That’s a lot where he’s concerned. His first bite of a naked White Russian (sans frosting and decoration) garnered an “It’s good! Soft and light.”. The full on White Russian had him saying he felt slightly boozed up after. Seeing as he ate the Collon on the cupcakes and finished the few I plopped on the plate for nice, I’ll take it Collon did good. This was a one-off thing. He wasn't allowed any chocolcate Collon though. 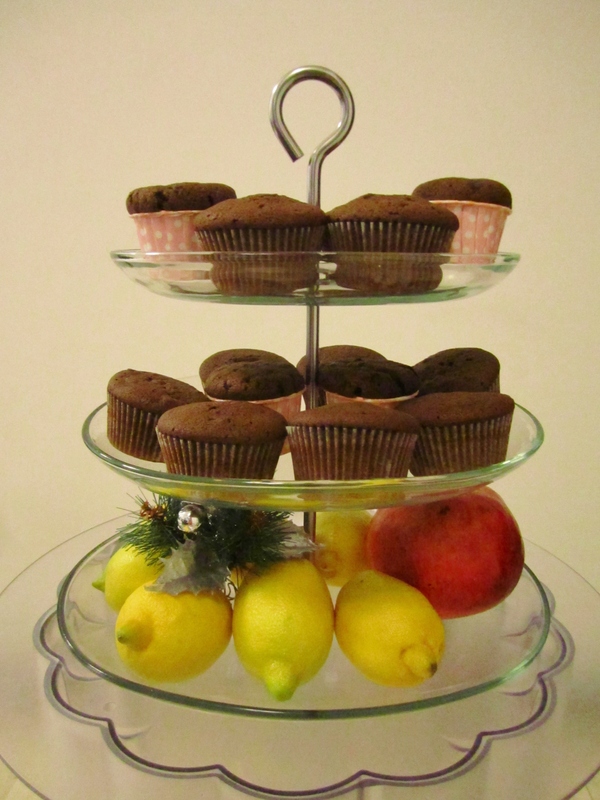 Collon makes a great topping for cupcakes. 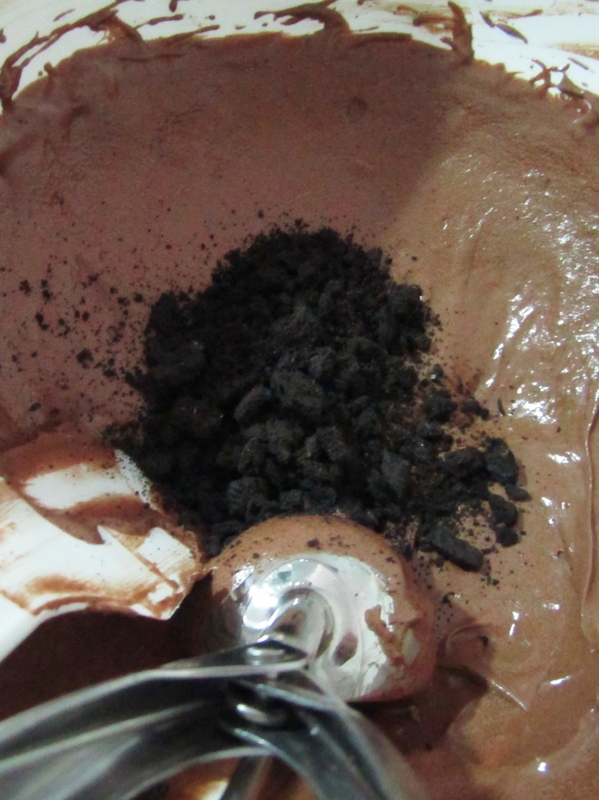 It adds dimension with crunch, is a perfect bite-size and seems a hit with both adults and children. The only thing to remember is to top just before serving or they go soggy. 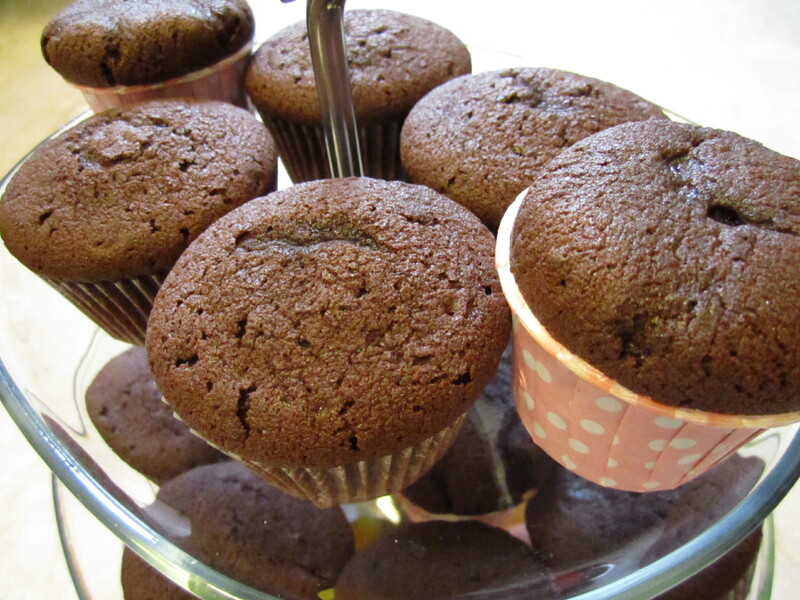 Light, moist, soft and slight springy, these boozey cupcakes are definitely not for children. White Russian lovers rejoice! Now you can literally have your cake and eat it too! All you have to do is order some from me!